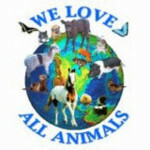 We love all animals,domestic or wild,big or small.Articles,news and petitions. Feel free to invite your friends!!! Romania- The New Law to Kill Stray Dogs ! !/Take Action.